The overall objective of the project is to focus on conveying the legacy of Jean-Paul L’Allier, creator and founder of the Organization of World Heritage Cities (OWHC), to future generations. In the city of Oaxaca (Mexico), in a modest school located in the Historic Center, a group of students from 14 to 17 years old participated, as part of their academic education, in the OWHC twinning program Youth on the Trail of World Heritage. Through this program, they discovered the heritage value of their city and of a twin city, in this case Cordoba (Spain). That way, they learned the importance of the activities and projects developed by the Organization, like the International Video Production Competition “My City, Our World Heritage”, which the 14-17 year-old category of the 2015 edition was won by a young man from Oaxaca. What struck participants the most in the Youth on the Trail of World Heritage program was the life and work of Jean-Paul L’Allier and, unfortunately, the news of his recent death. The latter fact was what inspired the group to name Jean-Paul L’Allier an initiative begun by Gerardo José Corres Tenorio, manager of the office of the Vice President of the OWHC (during this period, the city of Oaxaca occupies a vice presidency of the Board of Directors of the Organization, along with the cities of Quebec (Canada), Vienna (Austria), Sintra and Angra do Heroismo (Portugal), Lyon (France), Brussels (Belgium) and Valparaiso (Chile). Mr. Corres has had the opportunity to cooperate actively with the OWHC since 1999. Among the many activities, he has attended most of the World Congresses and organized the World Congress in Oaxaca in 2013. He has participated in several meetings of the Board of Directors and events related to the conservation of cultural heritage. The initiative was realized through the contribution of Mr. Corres with countless documents, maps, brochures, photographs, etc. to the José María Murguía y Gallardi School where a space was created for consultation open to the youth of the institution. However, these actions exceeded the initial expectations. The intended site was adapted for the participation of the student group involved in the OWHC twinning project, of course with the approval of the Director of the Institution, Mr. Rubén Darío Calleja and the teachers Adriana Calleja and Claudia Sánchez. The suitability of the site allowed the students to classify and properly store the donated documents, which supplemented various publications and technical books that already existed in the school. This activity was one among many others that the young people were already carrying out as part of the OWHC twinning program, such as visits to monuments and heritage sites in Oaxaca, maintenance workshops in the historic center, research and publications in journalism workshops, etc. Eventually Oaxaca managed to have a decent space where the central theme is World Heritage Cities. The Municipal Government, led by Mr. Javier Villacaña Jiménez, became aware of the progress of the project and in order to promote it, they accepted that it could presented at the meeting of OWHC Board of Directors scheduled in the city of Istanbul (Turkey) in March 2016. Subsequently, the school officials decided to open the space to the community and to allow access to people interested in learning about the heritage values ​​of the most beautiful cities in the world. With the students, they decided to name this space, the first JEAN PAUL L’ALLIER LIBRARY. An opening ceremony was organized, in which the OWHC Secretary General, Mr. Denis Ricard, participated thanks to new live electronic media. Representatives of the city government and special guests witnessed the opening of this space. The expectation is not limited to having this space in Oaxaca, but that in the future similar areas can be established in all heritage cities. This network of libraries, not only will pay tribute to the OWHC founder, but will also allow the Organization to have more visibility in many communities around the world, by having a place where the citizens will have the opportunity to be exposed to the values ​​of heritage cities. The project is ambitious. 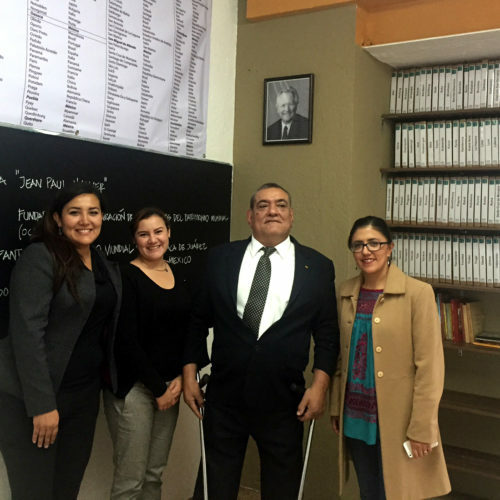 It is not only limited to opening spaces with documents; the network will generate interaction in the community, especially among the younger generations, as is happening in Oaxaca and surely will happen in places where Jean Paul L’Allier Libraries will open. Therefore, the project expands its expectation to become the world’s largest university with a classroom in every World Heritage City, designed for the new generations: the CHILDREN’S UNIVERSITY OF WORLD HERITAGE. The project is an independent project, but may be linked to the program Youth on the Trail of World Heritage, since the age of the participants is the same, as well as the possibilities of execution. The OWHC is responsible for coordinating the diffusion of the project and will serve as the appropriate communication channel in order to support the proposals generated in different cities interested in developing the project. The aim is to open in all World Heritage Cities a space where there is information about the city itself (as much as possible) and about most of the cities included in the World Heritage List, as well as information related to architecture, art, archeology, etc. In most cities, many institutions have libraries. The objective is not only to give them a name but rather to involve young people in the research process, to generate interest and thus, create an international community. 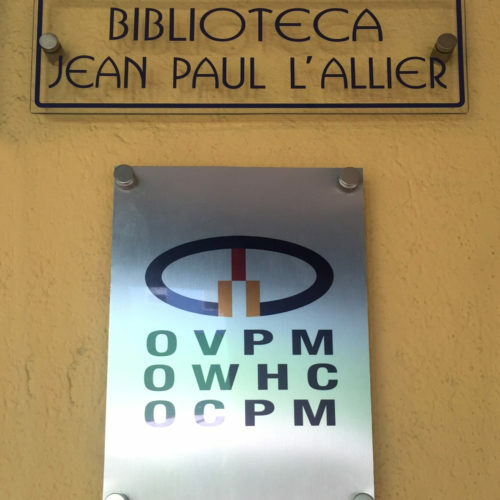 Institutions: the OWHC is responsible for disseminating official information, such as a photo and testimony of Jean-Paul L’Allier, in order to standardize the different libraries. Finally, the connection between the libraries can generate a real INTERNATIONAL NETWORK bounded by the same purpose, which will lead to the creation of the Children’s University of World Heritage. A JEAN PAUL L’ALLIER LIBRARY IN YOUR CITY; AN EXCELLENT OPPORTUNITY TO PROMOTE HERITAGE CONSERVATION!